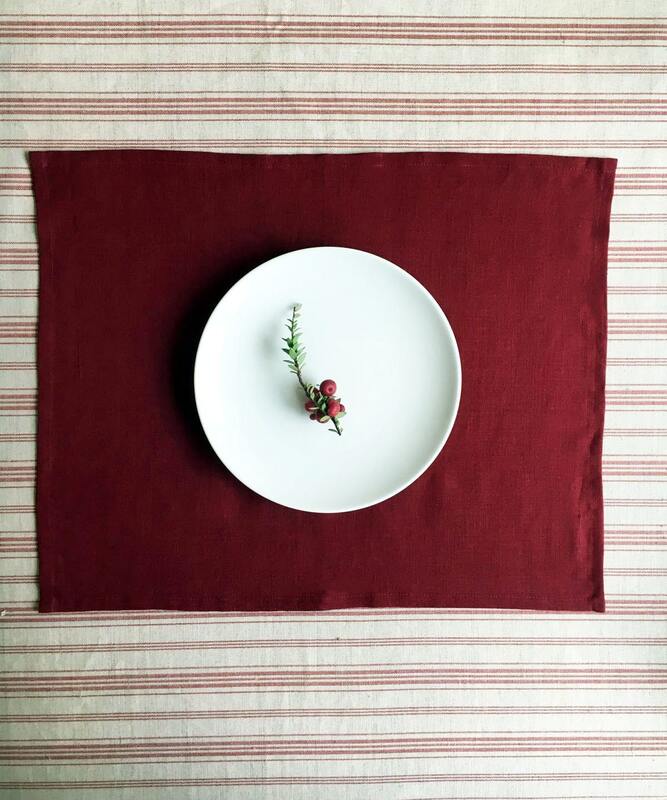 Wonderfull lightweight linen placemats from maroon red linen. 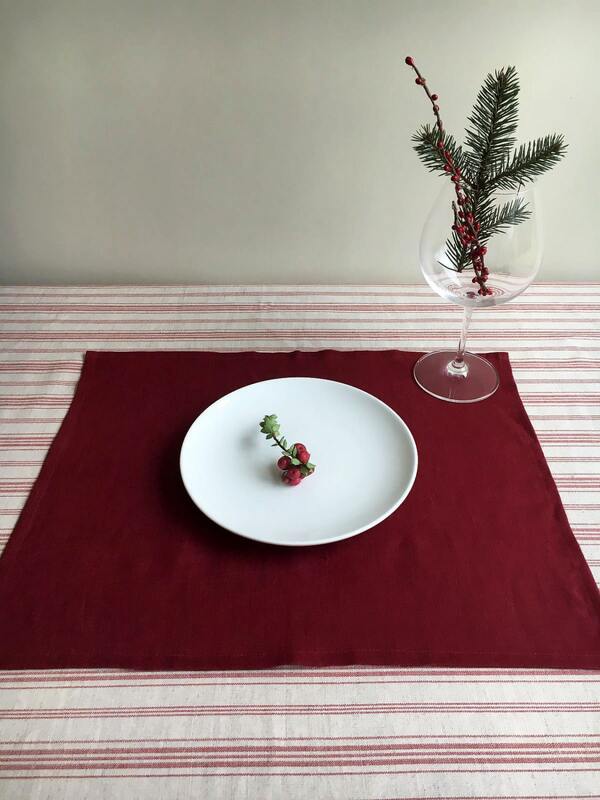 Beautiful addition to your Christmas table. Choose your own set. Made from 100% pure, soft and light linen. An eco-friendly choice for your dining table. Elegant. 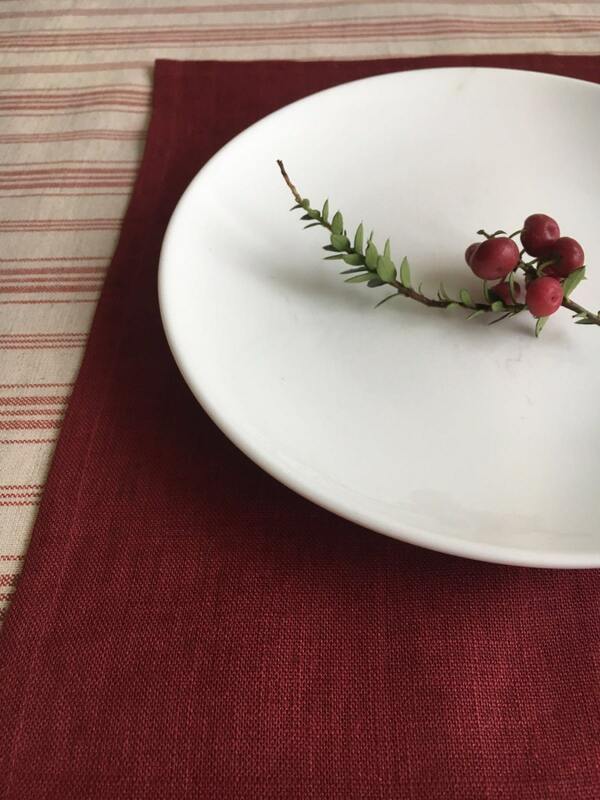 Each placemat measures approx. 16.9" x 12.2" [43 cm x 31 cm] and you can choose a set of 4, 6, 8 or 12. Let us know if you want a different size or amount. The linen has not been pre-washed- after the first wash will gain more textured look. 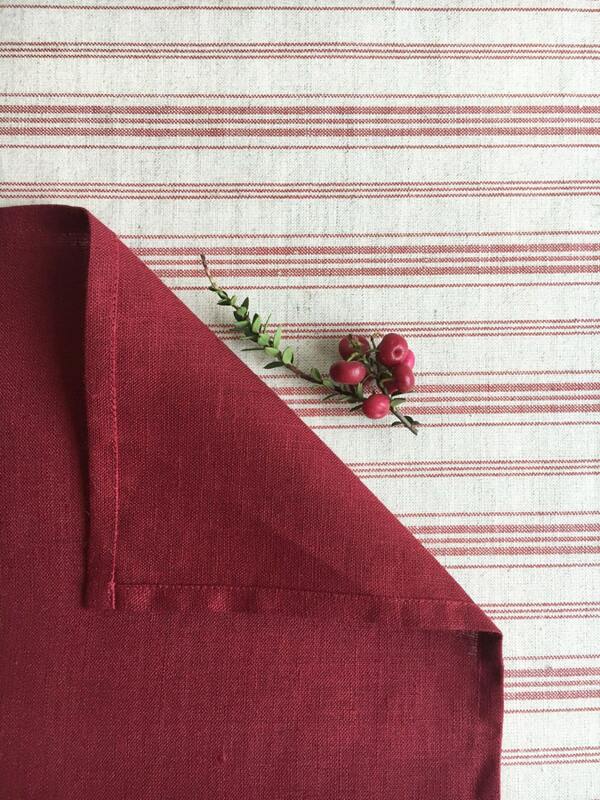 Linen is well known and appreciated for its durability and improving its quality over time. 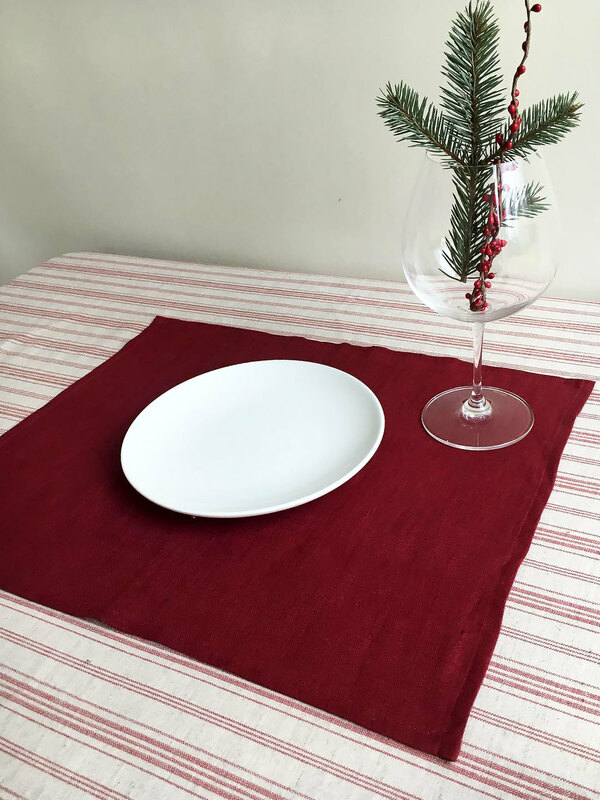 Please give us 5 days to have the placemats ready for shipping as we make each by hand.